Václav Smil is a Czech-Canadian scientist and policy analyst. He is Distinguished Professor Emeritus in the Faculty of Environment at the University of Manitoba in Winnipeg, Canada. His interdisciplinary research interests encompass a broad area of energy, environmental, food, population, economic, historical and public policy studies, and he had also applied these approaches to energy, food and environmental affairs of China. 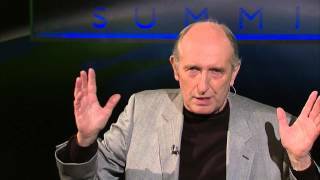 Dr. Vaclav Smil was the speaker at a TISED and Fondation 3E event in September 2015 called "Energy Revolution? More like a Crawl". He explored the current state of global and major national energy dependencies and appraised the likely speed of their transformation. In his words, "The desirable development of new renewables should not be guided by wishful preferences and arbitrary targets. Using more energy, albeit more efficiently and with lower specific environmental effects, is unlikely to change our fortunes — yet no serious consideration has been given to how to use less, much less." Energy transitions: a future without fossil energies is desirable, and it is eventually inevitable, but the road from today's overwhelmingly fossil-fueled civilization to a new global energy system based on efficient conversions of renewable flows will be neither fast nor cheap. 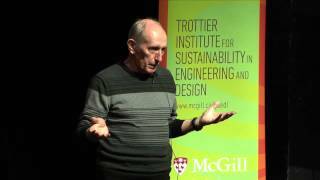 Distinguished Professor and author Vaclav Smil explores technological transitions of past, present and future that are critical for understanding how to shift to a low carbon future.